The innovation and acquisitions has helped M&M grow to an Indian multinational with Rs 85,000 crore (Rs 850 billion) of market value. 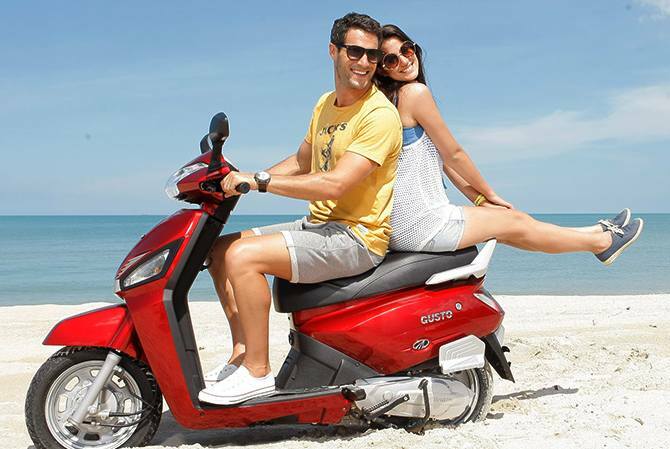 On October 7, Mahindra & Mahindra (M&M), flagship company of the $16.5 billion Mahindra Group, announced the acquisition of the loss-making scooter business of French automobile major Peugeot. The transaction will help Mahindra Two Wheelers gain scale, and both companies plan to leverage each other's strengths. This is not the first time M&M is growing its business via acquisitions. In 40 years, M&M has perfected the art of combining innovation and acquisitions to grow from a single-product company, the famous Jeep, a few decades ago to a multi-product conglomerate with a global reach. The innovation and acquisitions has helped M&M grow to an Indian multinational with Rs 85,000 crore (Rs 850 billion) of market value . It logged in Rs 74,000 crore (Rs 740 billion) revenue and Rs 4,300 crore (Rs 43 billion) of profits for fiscal 2014 in the last two decades (see chart). Most of M&M's acquisitions are quite recent relative to its 70-year history. It took over Punjab Tractors in 2007 to become a well-entrenched player in the tractor segment. In 2009, it bought crisis-ridden Satyam Computers and merged it with its technology arm Tech Mahindra. In 2010, M&M bought Ssangyong in South Korea to get into the international markets. Later, the company saw an opportunity in the electric car segment and took over Reva in 2010. To get into the highly competitive two-wheeler segment, Mahindra bought Kinetic scooters in 2008 and has now topped it by buying Peugeot's scooter business. 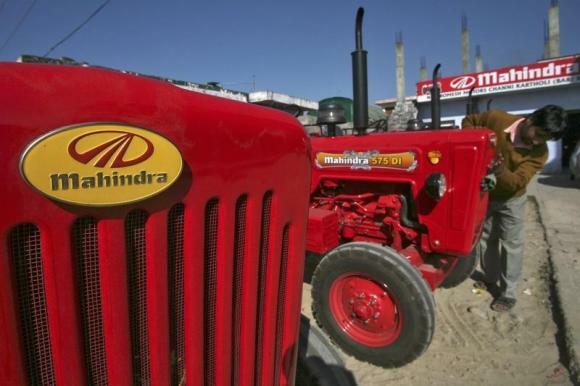 Yet acquisitions were not the foundation of Mahindra's success story: It was innovation. And almost every innovation was born following a crisis. In 1973, at the peak of oil crisis, Mahindra was left with no option but to come out with a new engine for its best-selling model - Jeep. As oil prices zoomed up from $3 to $12, the company had just few months to shift from its World War II- era petrol guzzler Hurricane engine to a diesel engine. From selling 14,000 Jeeps in 1973, Mahindra was selling just 7,000 vehicles within just three-and-a-half years by 1976. 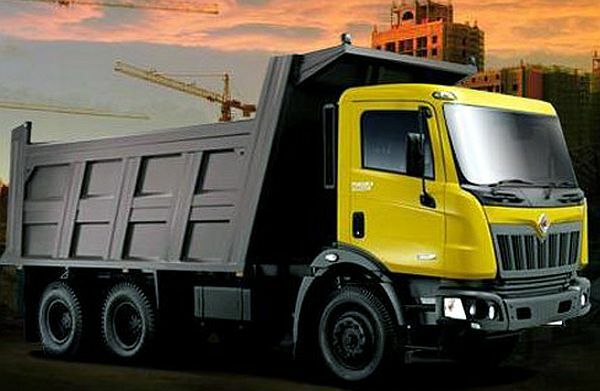 Mahindra's innovation skills came to its rescue as the company assembled a team under its director Kumar Sardesai to convert its high-power, low speed, tractor engine to a high-power, high-speed diesel engine. The engine was an instant hit because rural mechanics found it easier to service the Jeep since locals were very familiar with the Mahindra tractor engine. Recalls Bharat Doshi, Director, M&M: "That engine continued in operation in our utility vehicles as late as the year 2000. So, an innovation born out of necessity actually became a long-term demand and competitive advantage for us." During the oil crisis, Mahindra had two companies: the auto company that was suffering from the low mileage of Hurricane petrol engine and the tractor company which was haemorrhaging due to regulatory requirements and price controls. The tractor company was unable to sell products because the government was dictating the selling price even when the costs were shooting up due to the seventies' hyper-inflation. Thanks to innovation, both companies survived. Mahindra Tractors simply started selling its engines to Mahindra's auto company, which were fitted on its Jeeps. "This is the ability and DNA of the group, to fight and emerge winners in a difficult environment and when odds are against us," says Doshi. Similarly, as passenger vehicles sales started going up, Mahindra hit upon another idea. In 2002, the company launched its SUV (sports utility vehicle) - Scorpio, and followed up with a better-looking, upgraded SUV - XUV5OO in 2011. Both vehicles were instant success as the product quality was high and the pricing was right. 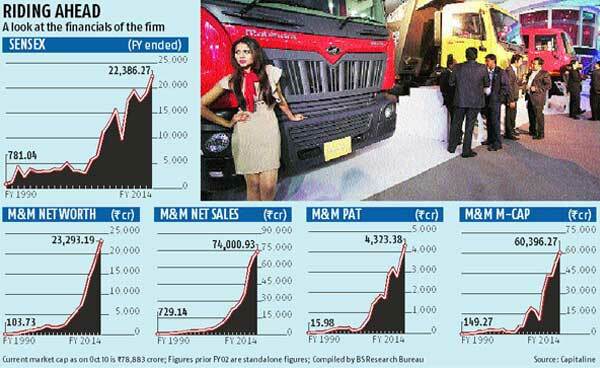 Compared with rival Tata Motors, M&M's products were instant success stories. 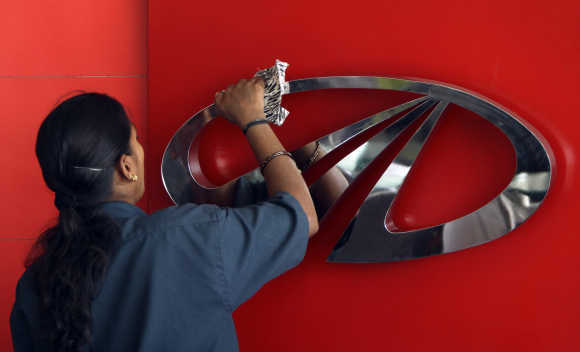 In the utility vehicle segment, Mahindra's market share is 36 per cent against Tata Motors' 4.9 per cent in the April-September half-year, according to Society of Indian Automobile Manufacturers. But M&M has had its share of setbacks too. The company had limited success in passenger cars and failed to make a dent in the segment in spite of marquee tie-ups with Ford and Renault. 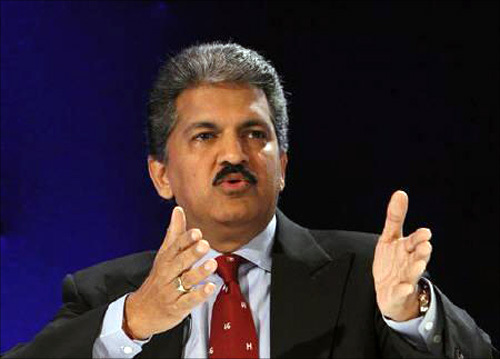 Group chairman Anand Mahindra says in India every company should seed internal disruptors to view the same issue with different perspective. One of the internal disruptors that Mahindra has is the "Shadow Board." All Mahindra group companies are required to form a Shadow Board made up of people under 35 years of age, who meet every quarter and behave as if they were the board of Mahindra and discuss what they would be doing differently. "One of the classic examples of their performance I give is, when we were not bidding for Punjab Tractors at one stage, at our annual conference, during these Shadow Board presentations, one of them did a very interesting skit. 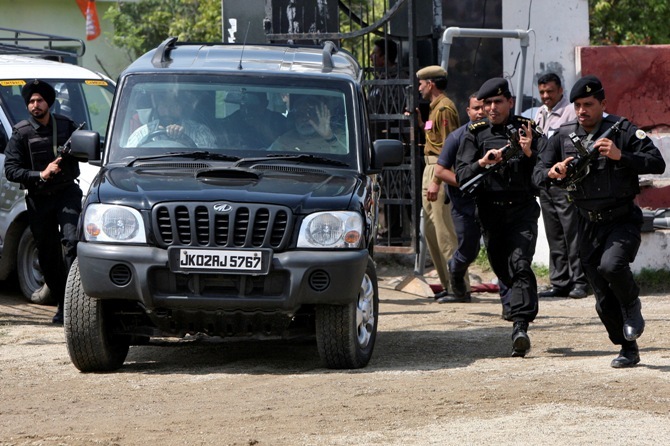 They pretended that they were from a competitor, and they play-acted as if they had bought over Punjab Tractors." They demonstrated that if they bought it and Mahindra didn't, what would happen in the market," Mahindra said in an earlier interview. "At that time, we had been looking at IRRs (Internal Rate of Return), our walkaway price, our strategic synergy value etc. I came away frightened out of my mind. I have no doubt in admitting that all of us there who eventually bought Punjab Tractors were affected by that, because a bunch of people took time out to think about what would happen. " "That forced us to think differently. Punjab Tractors today is among our most successful acquisitions," he says. On Reva, Mahindra says electric cars are an innovation that can disrupt the automobile sector. "When the future comes, it doesn't come with a very long overture. It comes with the curtain just about rising or dropping. Today, if someone asks whether Tesla (a US-based electric car maker) will disrupt the automotive business in India, I'll answer, "Mahindra won't be worried!" Startup mania: Are we looking at the next internet bubble?